Diabetes mellitus (DM) is a common endocrinopathy of dogs and cats, and management can be challenging. A great deal of individual variability exists with regard to insulin type and dosing, and there are several potentially life-threatening sequelae of poor management. In this Journal Club column, synopses of several recent publications, with relevant clinical implications regarding management of DM, are presented. Glargine insulin is typically used for treatment of feline DM; however, Hess and colleagues explored the use of glargine in diabetic dogs. Patients that received 0.5 U/kg Q 12 H achieved clinically significant diabetic regulation by 38 ± 14 days, and exhibited relatively flat blood glucose concentrations during curves. The major adverse effect was hypoglycemia, sometimes accompanied by seizures. This finding prompts a recommended starting dose—for dogs—of 0.3 U/kg Q 12 H.
Glargine was investigated as a treatment for feline diabetic ketoacidosis (DKA) by Marshall and colleagues. In lieu of short-acting insulin, 15 cats experiencing DKA received IM ± SC glargine at variable intervals through hospitalization. Hypokalemia, hypophosphatemia, and hypoglycemia were common; however, these imbalances were likely attributable to DKA per se. All 15 cats survived to discharge, demonstrating a promising role of glargine in DKA treatment. A retrospective analysis by Callegari and colleagues evaluated prognosis and survival times in newly diagnosed diabetic cats. The overall median survival time was 516 days, with 46% of patients living > 24 months. Nearly 34.2% of patients initially presented in DKA, and 32% survived > 36 months. DKA did not correlate significantly with survival time, but patients with elevated creatinine demonstrated a shorter survival time. In human DM, vascular complications are common. Herring and colleagues reported significant hypertension (> 180 mm Hg) in 36% of diabetic dogs, but retinopathies were very uncommon. Proteinuria was also present in 36% of affected dogs at the study start. Interestingly, significant progression of complications was not observed over the 2-year study period; however, larger studies are needed given this study’s small sample size. Herring IP, Panciera DL, Werre SR. JVIM 2014; 28:488-495. Vascular complications are common sequelae of DM in humans, and systemic hypertension, proteinuria, and retinopathy have been documented in dogs with spontaneous DM. However, little is known about the prevalence of these conditions, their progression, and their relationship to disease duration and control. The aims of this prospective, longitudinal, observational study were to document the prevalence of vascular complications, and determine the impact of DM duration and glycemic control on these complications, in dogs with DM. Eleven dogs with DM were evaluated at 6, 12, 18, and 24 months. Prevalence of systolic hypertension was 4/11 (36%) at enrollment and 5/11 (46%) at 24 months; diastolic hypertension was more common, with an initial and 24-month prevalence of 7/11 (64%). 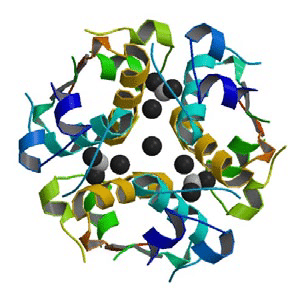 Proteinuria was defined as urine protein-to-creatinine ratio > 0.5. Prevalence of proteinuria at enrollment was 4/11 (36%), with a median value of 0.39 (range of 0.10–4.11); prevalence at 24 months was 6/11 (55%). In 6/11 dogs, mature cataracts initially prevented fundic examination for detection of retinopathy; in the remaining 5 dogs, no retinopathy was detected at initial evaluation, butretinopathy was found in 1/10 (10%) at 24 months. No statistically significant associations were found between duration of DM or glycemic control and presence/progression of retinopathy, systemic hypertension, or proteinuria. Assessment of glycemic control showed fair agreement between fructosamine and 8-hour blood glucose (BG) curves, but poor agreement with client scores. This study demonstrates that while vascular complications occurred in dogs with DM, there was no association with disease duration or glycemic control. Due to small sample size, results should be interpreted with caution, and further studies are warranted. Patients with DM should be screened for these complications and treated appropriately. Callegari C, Mercuriali E, Hafner M, et al. JAVMA 2013; 243:91-95. Previous studies have shown quite varied median survival times in diabetic cats, ranging from 13 to 29 months.1-3 This retrospective study was conducted to assess survival times and prognostic factors in a specific category of cats with DM—newly diagnosed patients. The authors evaluated records for 114 cats with DM that had not received treatment prior to referral. Reviewed data included history, signalment, physical examination findings, hematologic results, and presence of concurrent disease (including DKA). DKA was present in 34% of cats at time of diagnosis; about ⅓ of cats that had DKA survived > 3 years. Higher creatinine concentrations were associated with a significantly shorter survival time. Concurrent diseases were identified in 44.7%, including cholangitis (n = 6), lung disease (n = 6), pancreatitis (n = 5), renal/urinary (n = 4), and numerous other diseases each affecting 3 or fewer cats. Median survival time of diabetic cats was 516 days (range, 1–3468); 70% lived > 3 months, 64% > 6 months, and 46% > 24 months; 95/114 (83.3%) of cats survived to hospital discharge. An association between presence of concurrent disease and survival time was not confirmed by statistical analysis, although it may become significant if a larger group of cats was studied. The results of this study indicate that diabetic cats have a fairly good overall prognosis. Higher creatinine concentrations were the only factor significantly associated with shorter survival time in multivariate analysis. Interestingly, though the development of ketoacidosis certainly complicates treatment, these results suggest that it may not always be a poor prognostic indicator. Marshall RD, Rand JS, Gunew MN, et al. JVECC 2013; 23(3):286-290. DKA is a life-threatening complication of DM. 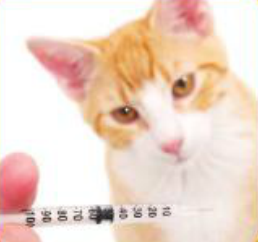 Current recommendations for treatment of feline DKA have little supporting evidence, and no short-acting insulin is licensed for use in cats. Therefore, use of glargine insulin administered IM to cats with DKA was investigated. In this preliminary retrospective study, the records of 15 cats presented for DKA and treated with IM glargine—with or without SC glargine—were reviewed. 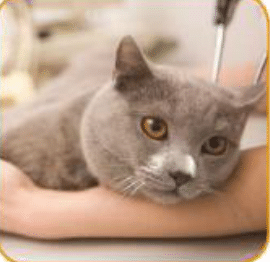 In addition to standard DKA treatments, such as fluid therapy and electrolyte supplementation, all cats received glargine, 1 to 2 U/cat IM, as their initial insulin therapy. The majority (12/15) also received glargine, 1 to 3 U/cat SC. Based on BG monitoring performed Q 2 to 4 H, additional doses of glargine, 0.5 to 1 U/cat IM, were administered Q 2 to 22 H.
Glargine, 1 to 2 U/cat SC Q 12 H, was continued throughout hospitalization and at home following discharge. All 15 cats survived to discharge after a median of 4 days of hospitalization. 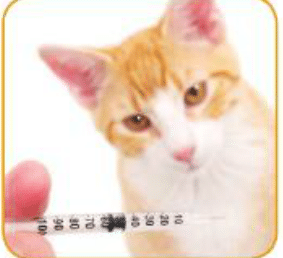 Glargine (SC) was used as sole insulin therapy once appetite had returned and dehydration was resolved; median time before sole insulin therapy with glargine (SC) was 24 H.
2/15 cats had documented hypoglycemia (< 54 mg/dL); none had clinical signs associated with hypoglycemia. All cats developed hypokalemia; 14/15 received IV potassium supplementation. 12/15 cats developed hypophosphatemia; 5/12 received IV phosphorus supplementation. This study demonstrated that cats with DKA could be effectively managed with IM and SC glargine. Hypoglycemia, hypokalemia, and hypophosphatemia were attributed to ketoacidosis treatment in general, rather than glargine insulin specifically. 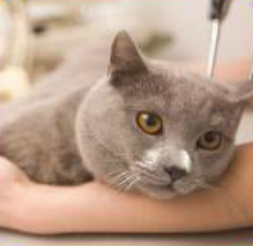 As many primary care practices already stock glargine insulin, use of glargine in feline DKA may allow prompt treatment. Controlled prospective studies are warranted. Hess RS, Drobatz KJ. JAVMA 2013; 243:1154-1161. Glargine insulin is a synthetic human insulin analog for use in humans with DM. Due to its slow, prolonged, and relatively constant release from the subcutaneous space, it produces a “peakless” BG curve. A BG curve without a nadir more closely approximates physiologic BG control, which makes it advantageous. The goal of this prospective study was to further understand and make recommendations for use of glargine in diabetic dogs. Ten dogs were enrolled, and received glargine insulin at 0.5 U/kg SC Q 12 H, along with a prescription diet high in insoluble fiber and complex carbohydrates. Serial BG curves were performed at 4 subsequent rechecks at 1 to 3 week intervals. Adjustments in glargine doses were made based on BG curves and clinical signs reported by the owners. The mean minimum and maximum BG measurements recorded during the study (181 ± 115 mg/dL and 238 ± 114 mg/dL, respectively) were not statistically different. When DM was well regulated in dogs, mean insulin dosage was 0.5 ± 0.15 U/kg SC Q 12 H.
At various points in the study, mild hypoglycemia (BG, 60–79 mg/dL) or severe hypoglycemia (BG < 60 mg/dL) was noted in 7/10 (70%) dogs. 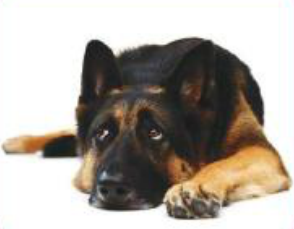 While in hospital, none of the dogs with hypoglycemia developed clinical signs associated with the condition. 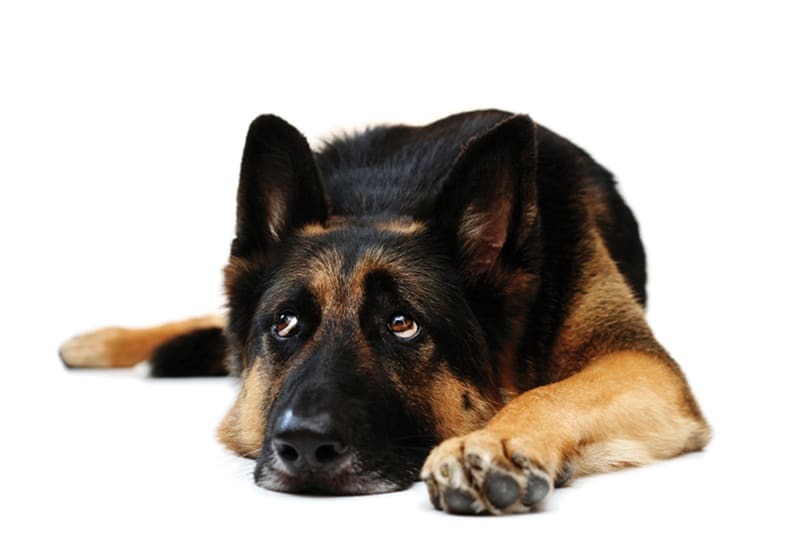 However, 2/7 dogs with documented hypoglycemia developed seizures at home during the study’s course. In 1 of these 2 dogs, prosencephalic disease was suspected. It induces a relatively peakless BG curve. Hypoglycemia was the only adverse effect reported. 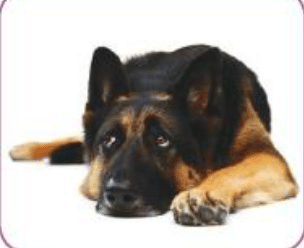 To avoid hypoglycemia, recommended starting dose of glargine insulin is 0.3 U/kg SC Q 12 H; however, in the majority of dogs, this dose will need to be increased. Larger studies are indicated to further validate these findings. Little CJ, Gettinby G. Heart failure is common in diabetic cats: Findings from a retrospective case-controlled study in first-opinion practice. J Small Anim Pract 2008; 49:17-25. Kraus MS, Calvert CA, Jacobs GJ, et al. Feline diabetes mellitus: A retrospective mortality study of 55 cats (1982–1994). JAAHA 1997; 33:107-111. Goossens MM, Nelson RW, Feldman EC, et al. Response to insulin treatment and survival in 104 cats with diabetes mellitus (1985–1995). J Vet Intern Med 1998; 12:1-6.